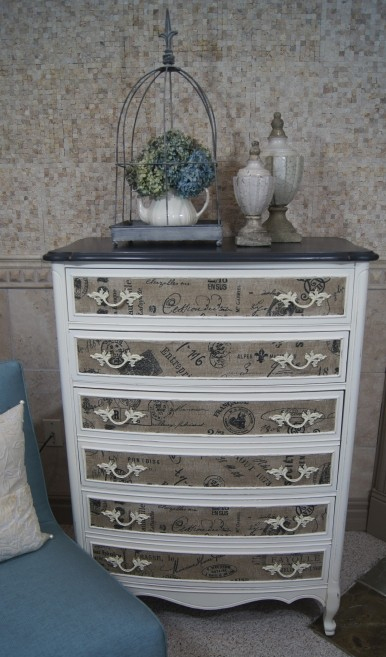 Decoupage is one of my favorite ways to renew an old furniture. Using your favorite photos, fabrics or maps you can transform boring furniture into a lovely piece that will instantly brighten your interiors. 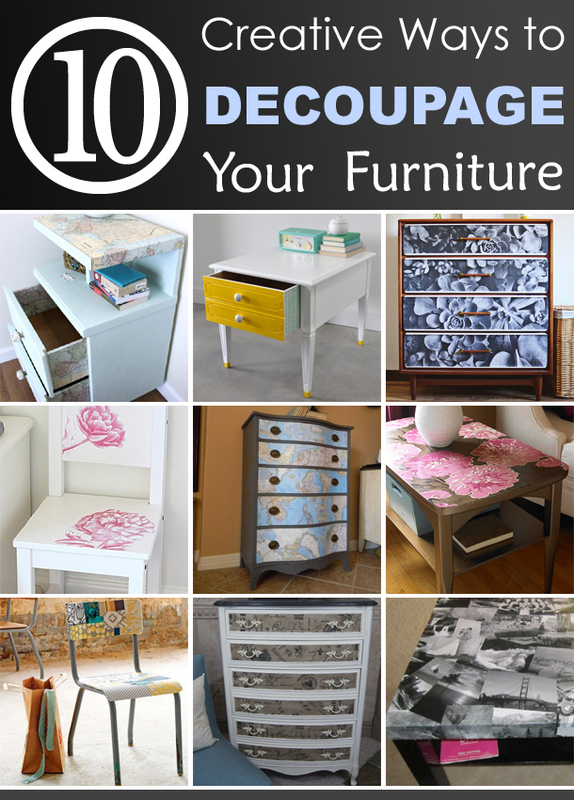 If you are interested in decoupage furniture and want to have at least one at home, check out these 10 decoupage furniture projects to get inspired. 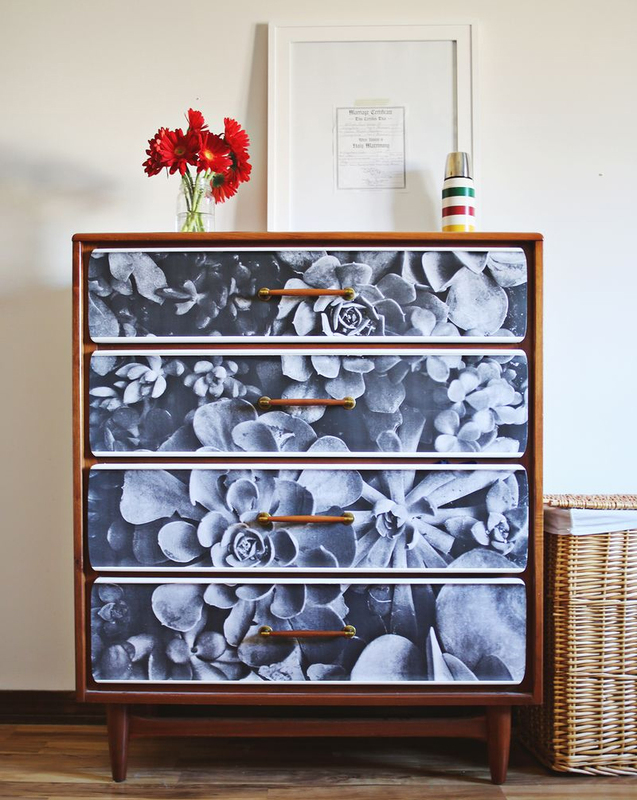 Restyle your dresser using a blue print copy of your favorite picture and some decoupage! This project is really great. The chair would fit perfectly into my daughter’s room. 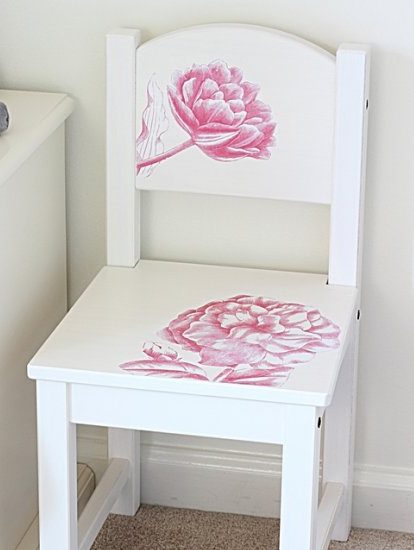 Flower images on the chair is extra cute and pink is her FAVORITE color. 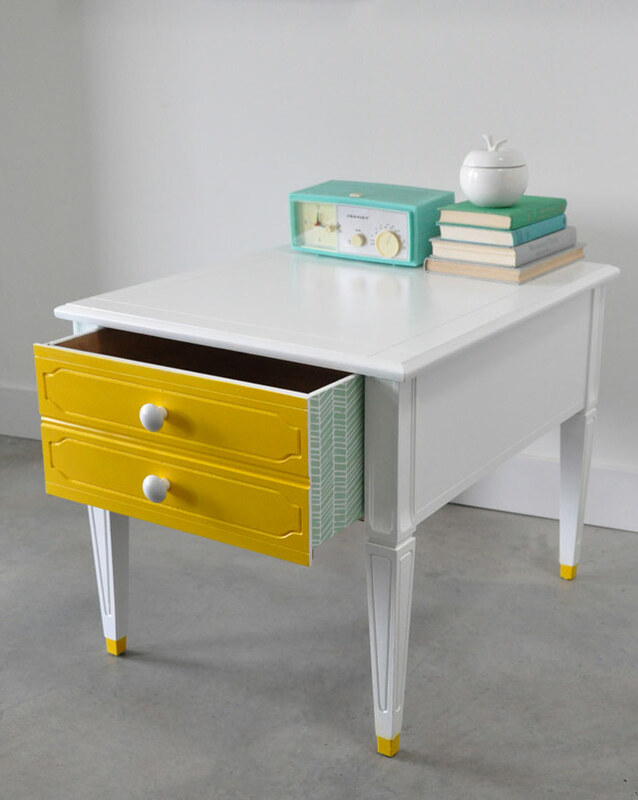 Transform your boring side table with some bold color and pattern. 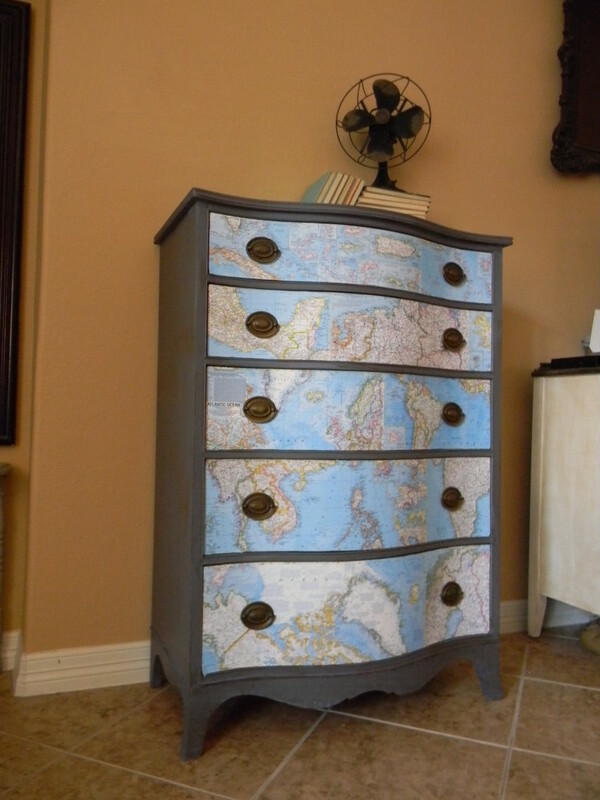 Check how a vintage side table received a travel-themed makeover with decoupage and custom mixed Chalk Paint. Everything with maps always gets a thumbs up from me. 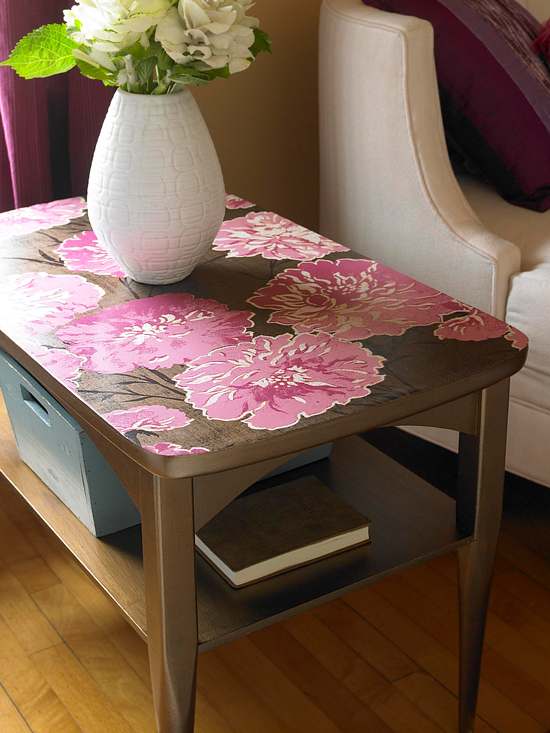 Use a scrap of wallpaper to fit the top of your table. 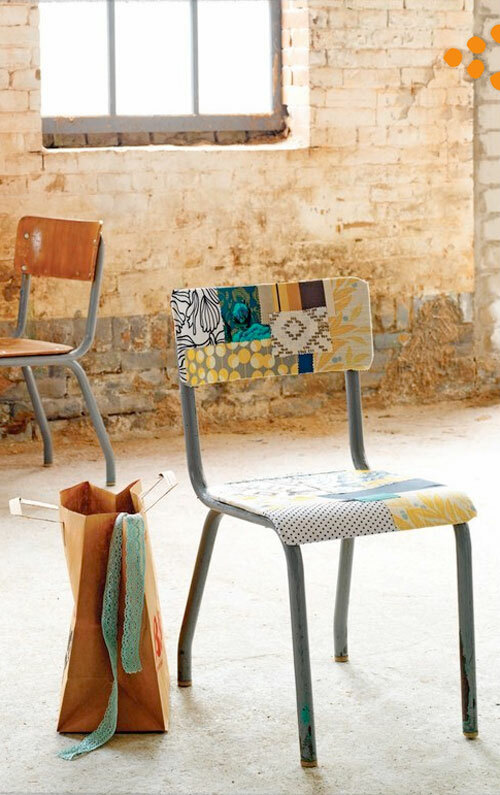 Use fabric scraps to create this beautiful collage-style fabric decoupage on old school chairs. Looks absolutely amazing! 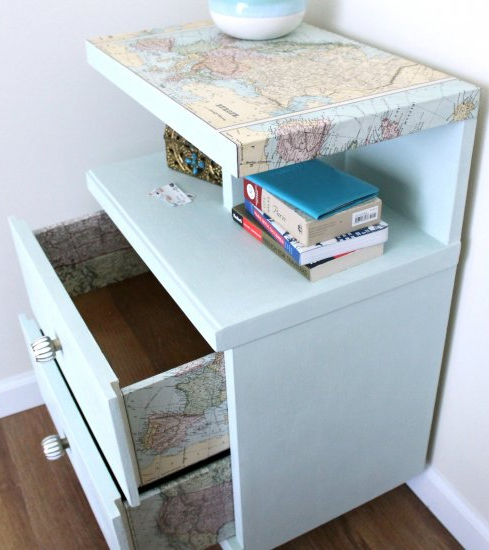 Another great idea to use the old maps. Great modification to this piece. The texture of the fabric is just perfect! Elegant and sophisticated – and would look beautiful in any room of any house. 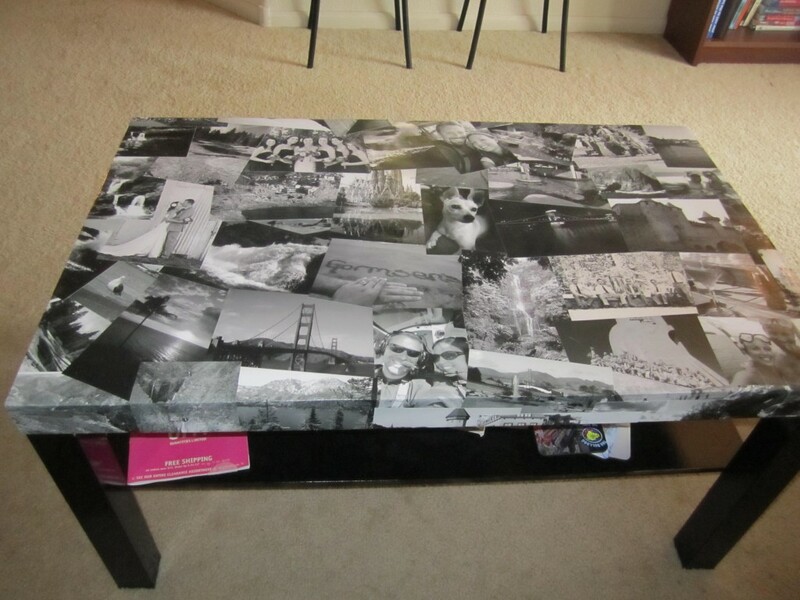 Use black and white photos on top and from now boring coffee table has much more of a personalized, modern appeal. 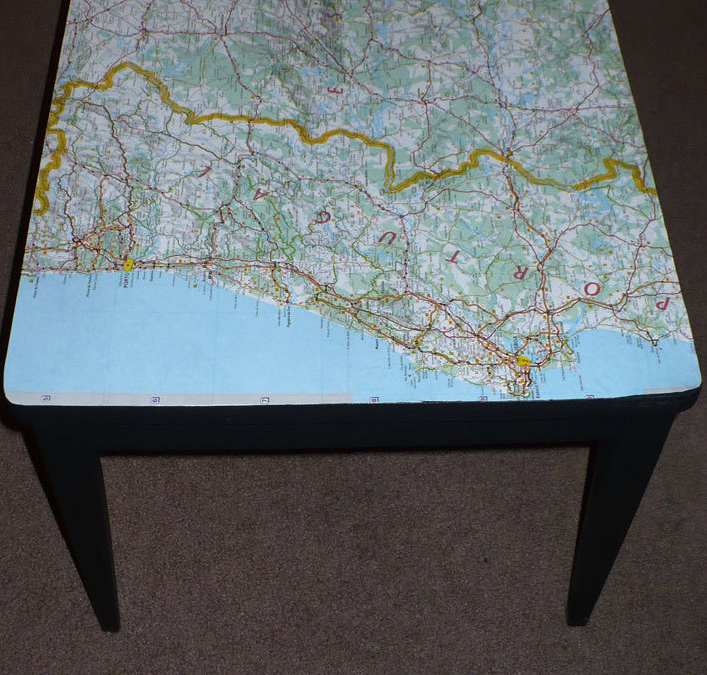 Turn your table in to a conversation piece with maps and memories from your travels.